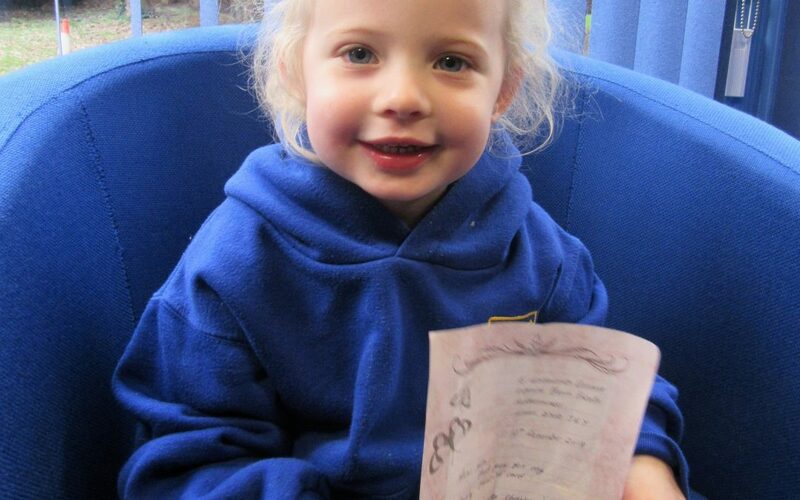 Receiving a letter personally addressed to one of their pupils, Little Trinity Nursery duly passed it on to 3-year old Alba Edwards parents when they came to collect her that day. To everyone’s delight and surprise the letter was from a local lady who’d received Alba’s Christmas card as part of Kidderminster Library’s Christmas Card Appeal. Nursery Manager, Miss Gaynor Carter, said: “Every year the children take part creating personal Christmas cards which are then distributed by Kidderminster Library to the elderly and housebound in the local community. Alba’s parents, Mark Edwards and Katie Stone, commented on how thoughtful and how delighted they were that Alba had received a letter of thanks and that they were going to put it in her special memory box so that she could see it when she’s older. Celebrating their fifth birthday later this year, Little Trinity Nursery, based within the grounds of Holy Trinity School and Sixth Form Centre on the Birmingham Road, caters for pre-school childcare from 2 years of age.